A lot of talks in the news on the Internet of things and the initiatives being taken in this direction. Startups in India are dedicated to taking the next big leap towards the same and are also working hard on it. One such startup that has taken its first step in this direction and has been successful in keeping up the big promise is PYALI. All of us who have an affinity for tea or coffee know the basic problem when we drink it. Our drink gets cold so fast! We make our drink with such care, with a certain amount of grounded coffee or Chai Patti and a specific amount of sugar, so that we will get a drink for our taste, yet 5 mins later when it goes cold, we just shrug and drink it anyway because that has been the natural order of things since the first time we had it. Well not anymore! Here comes Pyali, a digital mug that keeps your coffee or tea hot to whatever temperature you prefer. And the process is really simple, you just set the temperature you love and your PYALI will keep the drink at your temperature to your last sip no matter how much time you take to consume the drink until its last sip. Pyali is a digital ceramic mug, just like your coffee mug. The difference is just that it is accompanied by a coaster which perfectly partners with its operation. Pyali is in its initial setup phase, with a small team working day-in-day-out to develop the product and bring it to us. Pyali has been shortlisted among the top 38 most innovative product based startups in India in an on-going event organized by Catapooolt. This helps the team to see how the public’s reaction is to the product as it enters the market and also gets them the funds for their future plans. The team has gathered more than 1 Lakh Rupees already. Currently, all 38 startups are competing among themselves in the penultimate round of the event to raise crowd funds. 15 startups who will raise the maximum fund by the end of June will get an opportunity to pitch their ideas in front of the investors. Being one of the very few products based startups in India and being one of the members of the leaderboard of the ongoing Crowdfunding round, Pyali caught our eye. Here, we bring you some exclusive insight into what Pyali is all about. 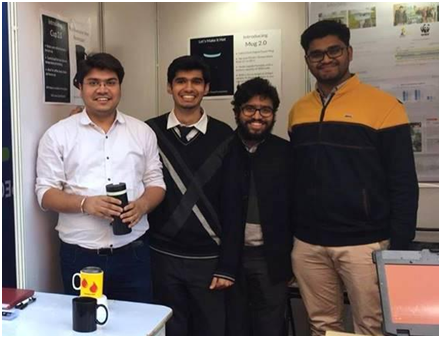 Pyali is developed by 4 engineers who fell in love with coffee & tea in college, particularly how much coffee/tea had helped them during the last day exam cram-up. Remembering those good times the four friends came together to start this company. 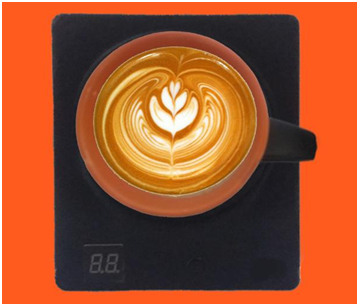 After taking a year to develop the technology, filing a patent for it, the team has launched the product, hoping fellow caffeine addicts will appreciate it. As any hot beverage consumer knows, reheating a drink often causes deterioration in taste, luckily pyali’s team tells us that when our coffee or tea is getting cold at the same time it is also getting oxidized which results in deterioration of taste. But with pyali, you won’t experience it again because pyali always keeps your drink hot continuously which limits oxidation of your coffee or tea and you get to drink it always fresh. 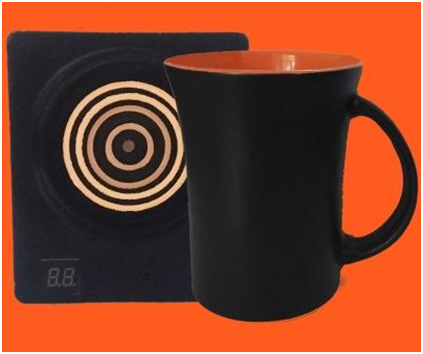 As one of the co-founder’s said, “We researched about many cup warmers in the market, what differentiates pyali from others is its ability to control the desired temperature and to keep your drink at that exact temperature till your last sip”. The technology developed by them doesn’t just stop at heating coffee or tea but they want to redefine our whole eating and drinking experience. Their next product is designated “The Beer Mug” which will keep your drink cold to your preferred temperature, so no more complaining to the bartender that your beer isn’t cold anymore, or ordering more ice for your drink. The pyali team already has prototypes ready for the “Beer Mug” but just like any budding hardware startup, is facing financial problems regarding the molds and custom hardware needed for such an innovative product. The team firmly believes that the crowdfunding and the attention they will get from the campaign will be something for their future investors to consider, which will help the team get these much-needed products to us, the users, faster. They have a vision where our table is digitally equipped to heat our meals and keep them hot until we finish them, which in term will bring a whole new segment of products in the market of Digital Kitchenware. One can see its progress and contribute on www.catapooolt.com/pyali or visit their site www.pyali.co for more information. Previous Post What is Crowdfunding and how does it work?